We are glad to inform you that direct links between L’Année philologique and the Library of Latin Texts have been implemented. These links provide access to the classical texts of Latin authors and work in both directions, i.e. from L’Année philologique to the Library of Latin Texts and vice versa. At Brepols, we’re continually trying to make our bibliographies better by improving functionality and adding new content. We’d like to invite all users to kindly participate in the online survey below and give us their opinions about our bibliographies and how we can improve. All participants have the chance to win a Brepols book voucher of 100 euro. The winner will be selected by a random drawing at the end of 2018. The survey will take no more than 5 minutes of your time. Enter the IMB Quiz on the occasion of the 50th anniversary of this groundbreaking bibliography and win a trip to Bruges, Belgium. 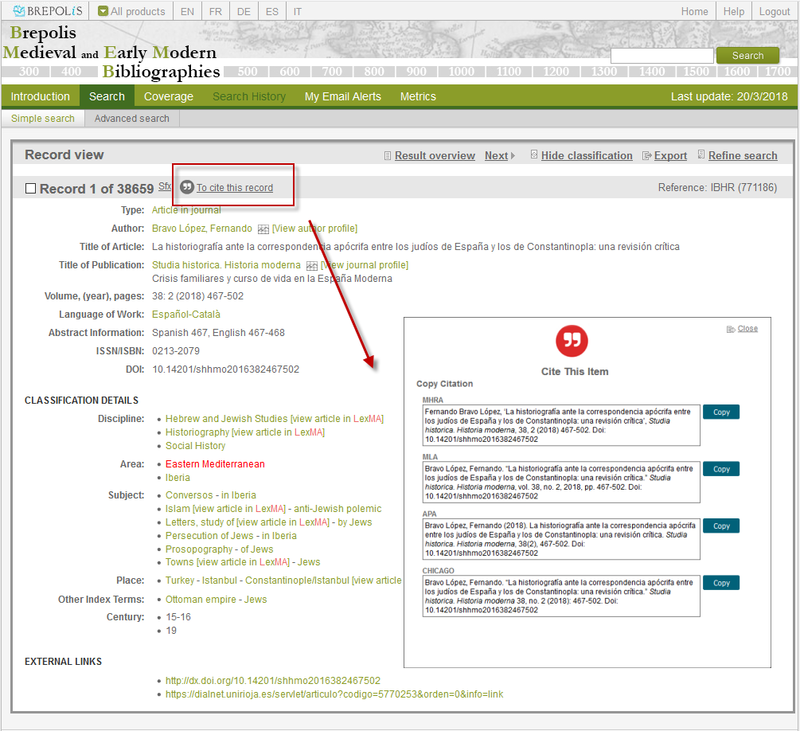 This functionality allows users to seamlessly copy/paste the bibliographical references found in BREPOLiS bibliographies in the desired format (MHRA, MLA, APA, Chicago). 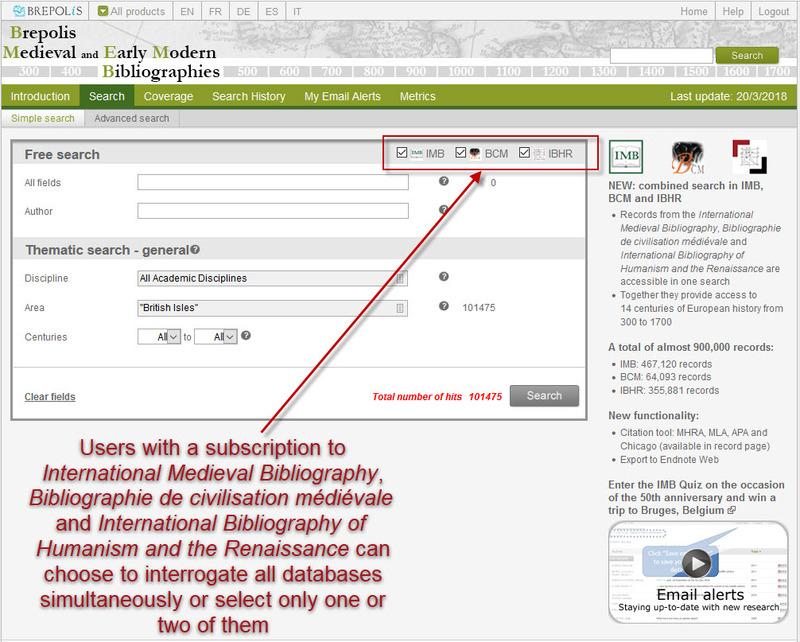 We are glad to announce that the International Medieval Bibliography, the Bibliographie de civilisation médiévale and the International Bibliography of Humanism and the Renaissance are now searchable through one unique search screen. Together, these 3 bibliographies cover 14 centuries of European History and give access to almost 900,000 records!